One particularly memorable photograph, for example, shows a coastal vista. With a silhouetted tree trunk bisecting it, the image is seemingly shot from a forest overlooking a bay. 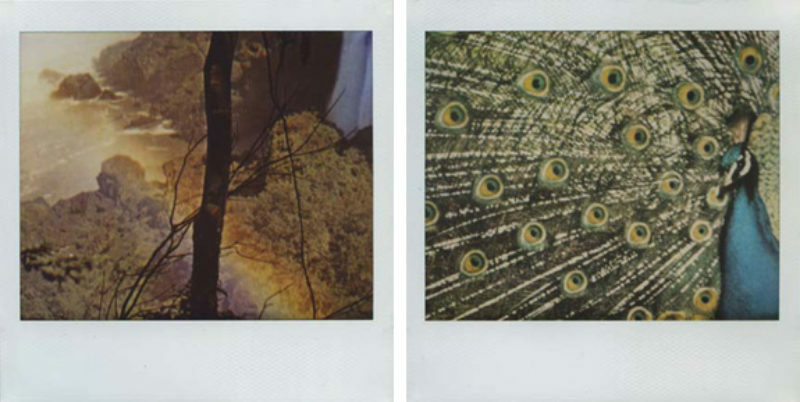 A chromatic aura, meanwhile, sweeps across the image but is indistinguishable as either a chance rainbow or an accidentally over-developed surface of the Polaroid. 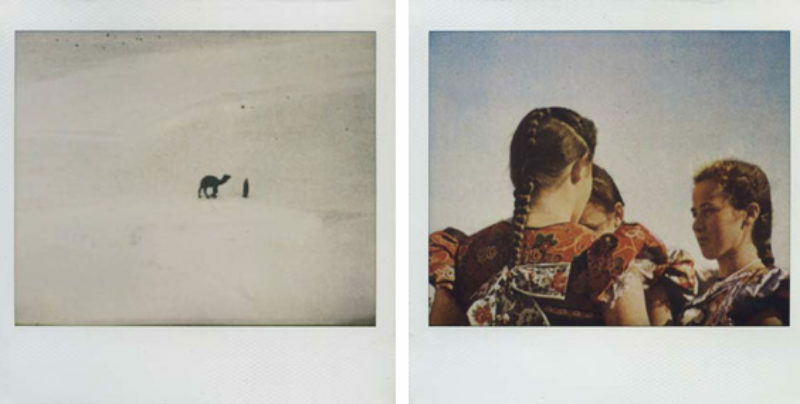 The romanticism inherent in these images mimics the register of fin-de-siecle expedition journals and the utopian exoticism of 20th century travel writing. 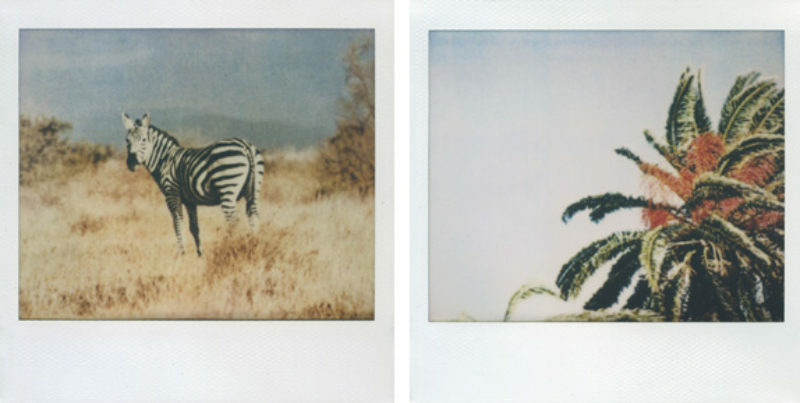 Shown in their hundreds, Epaminonda’s Polaroids become a hallucinatory image of travel’s own desire. 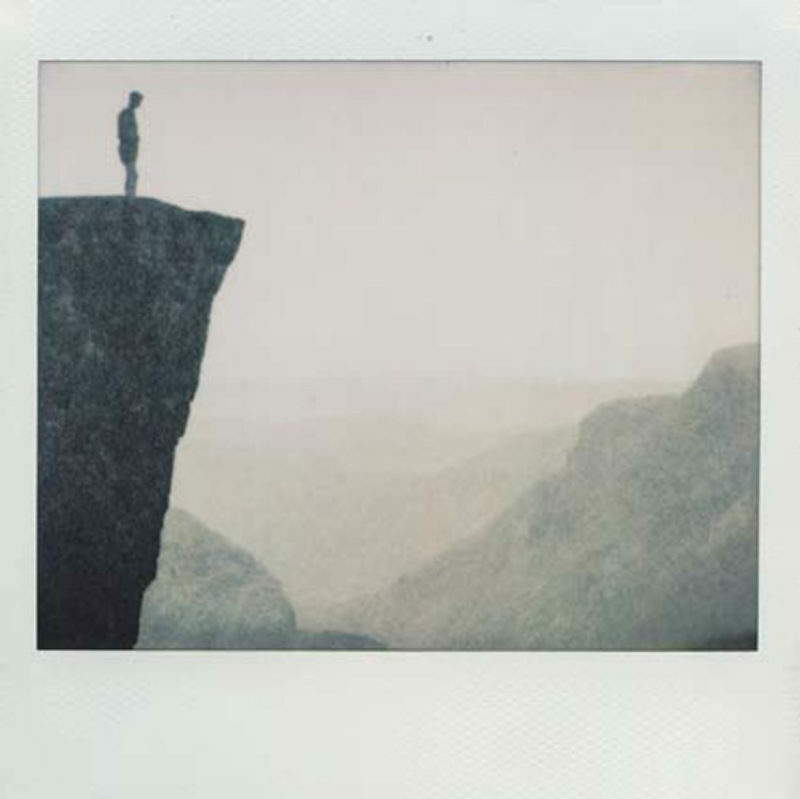 In this sense, the Polaroid series has more in common with the artist’s collaborative project initiated with Daniel Gustav Cramer, entitled The Infinite Library . In 2007 she and Cramer began creating an archive of books. 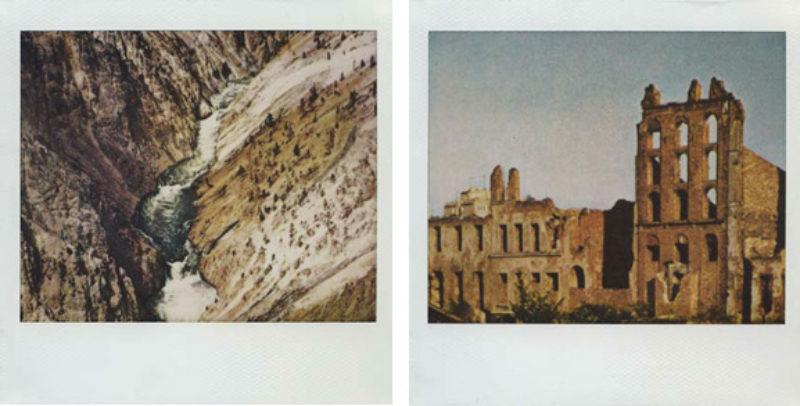 The pair would swap pages, rebind whole catalogues, create impossible montages using photographs culled from a diverse range of sources, and reorder the publications according to their own arbitrary logic.